Even though I was crazy busy this month, I still managed to read 12 books! 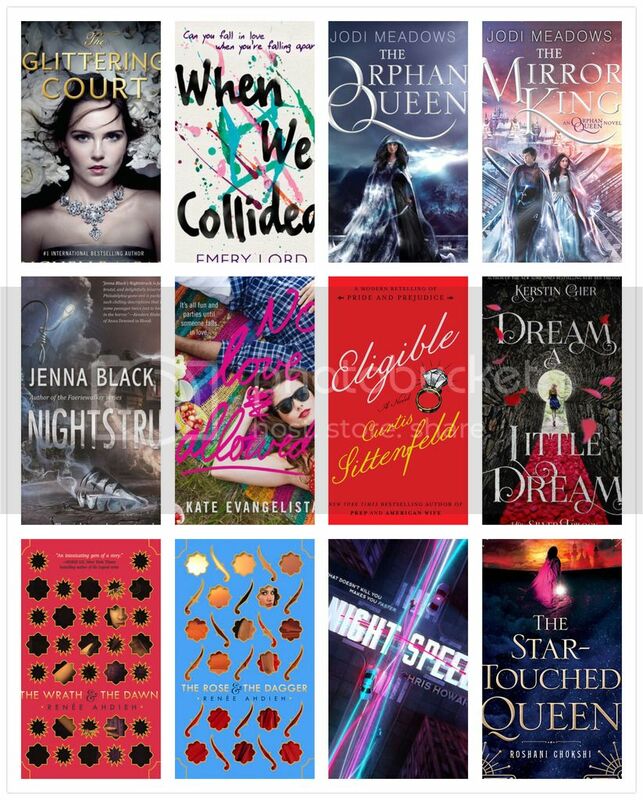 and I am excited to get started on my May TBR next!! 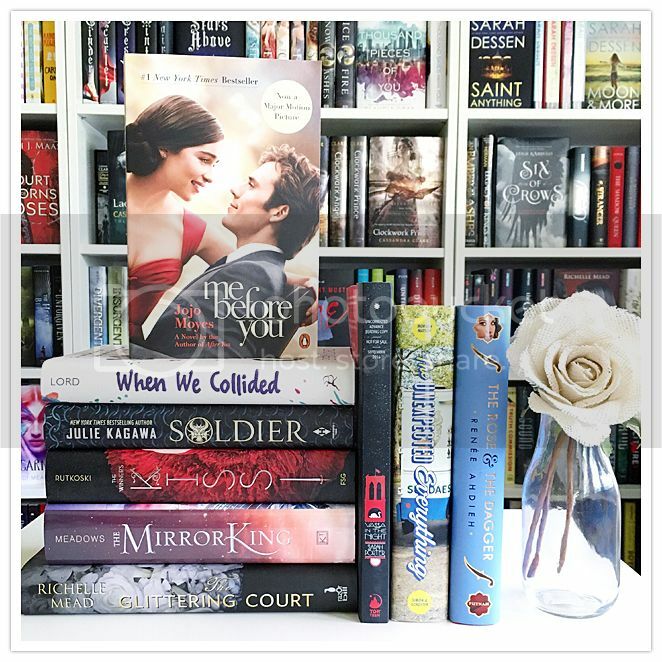 How many books did you read in April?? I started reading The Rose and the Dagger just moments after finishing The Wrath and the Dawn. 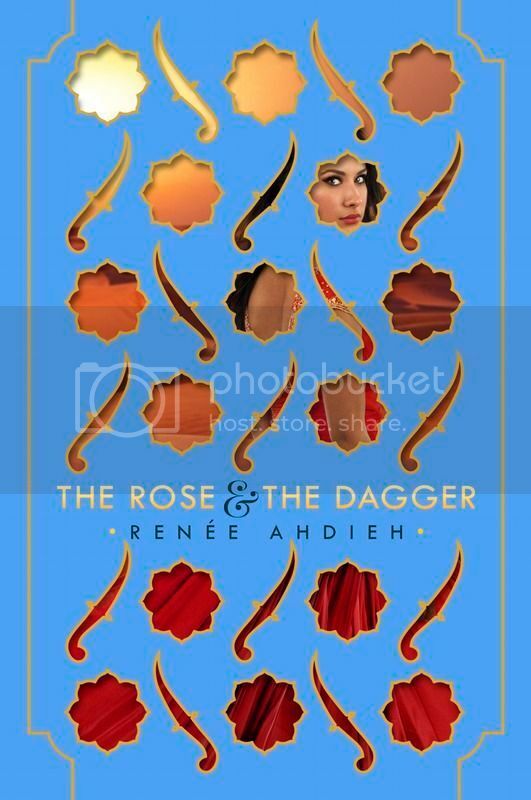 I enjoyed the previous book so much, I was super curious to see how The Rose and the Dagger would compare. Once I started reading this book, I was completely captivated, and, if possible, I think I love it even more than the first book! Shahrzad is quickly becoming one of my most favorite heroines. I love that she's so determined and willing to do whatever she needs to do to save the ones that she loves, even when putting herself in danger to accomplish it. Her relationship with Khalid is perfection, and I loved all the swoon-worthy moments between the two. They are definitely one of my favorites couples of all time. There are so many secondary characters in this series that I love, a few that we met in the first book, and some we meet for the first time in the sequel. They are all so well written, you can't help but love them, except for the ones that you'll love to hate, and there are more than a few of them as the story goes along. The storyline for the book picks up right where the previous book leaves off. I dove right into the pages, dying to know what was going to happen next, especially after that ending in The Wrath and the Dawn. I do believe this book was an even wilder ride than the first book, as it definitely kept me on the edge of my seat. There are quite a few twists and turns throughout the story as well, and I love that it kept me guessing. And, the book seriously has the most perfect ending. Everything came together wonderfully, and I was left completely satisfied after I closed the last page. I love it when that happens. Overall; I adored this series so very much, and implore you to check them both The Wrath and the Dawn and The Rose and the Dagger! This series was full of adventure and romance, and it will keep you completely captivated as you turn the pages. 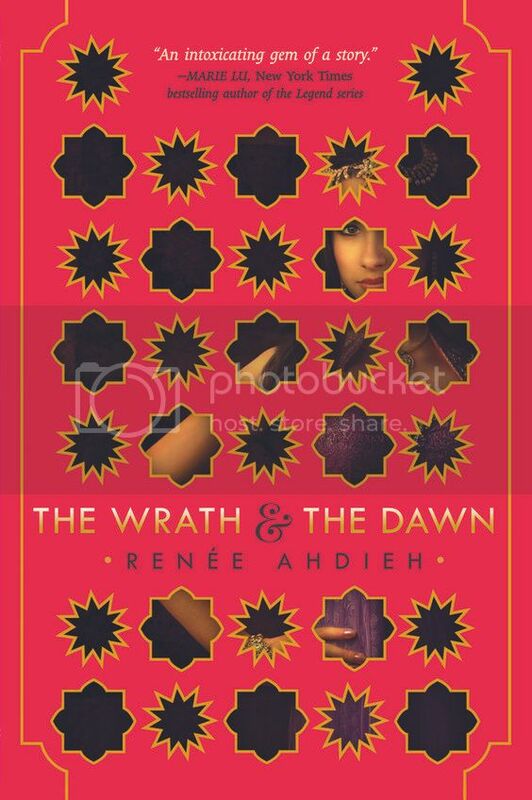 I know it did for me, and Renee Ahdieh is definitely now on my list of authors to watch to keep an eye out for. I can't wait to read more by her in the future!! I purchased The Wrath and the Dawn after it had been out for a while, and then it sat on my shelf for an even longer while before I finally picked it up to read. I've only read one other book that was a retelling of A Thousand and One Nights, so I was curious to see how this book would compare. I definitely was not disappointed, and I'm now kicking myself for not having read the book sooner! I was completely captivated by the main character in the book, Shahrzad. She was such a great character, so strong-willed and full of determination throughout the story, this is a girl who sets her mind to something and goes after it. She also has an amazing gift of storytelling, and I was completely fascinated by all the tales she told. I'm so curious to see more of her as her story goes along. The storyline in the book is completely engrossing. I have not read the original tale of A Thousand and One Nights, but these retellings of the tale definitely make me want to check it out. I love the setting and the descriptions of everything from the food and clothing and more. Also, there's romance in the book, and it was SO well written. Not too much, but just enough to make you swoon. *Wink*. 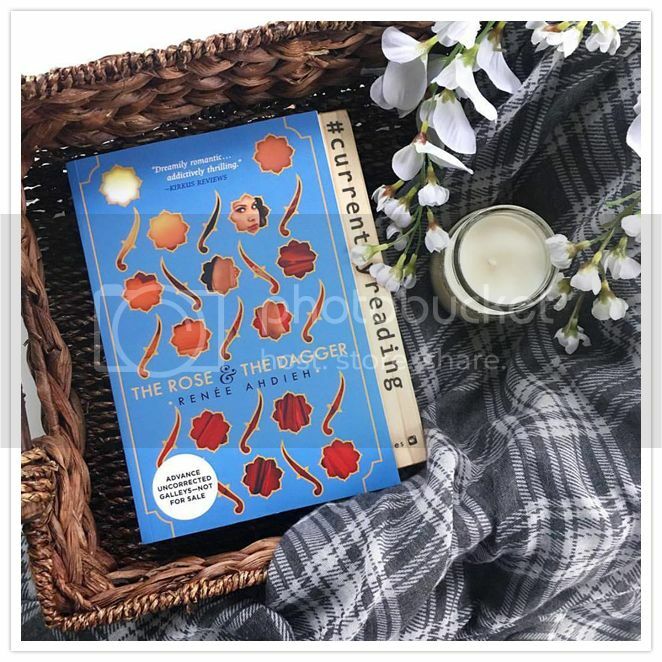 Overall; I really, really enjoyed The Wrath and the Dawn, and I'm starting the sequel, The Rose and the Dagger, right away, as I must know what's going to happen next, and how it will all end for Shahrzad. 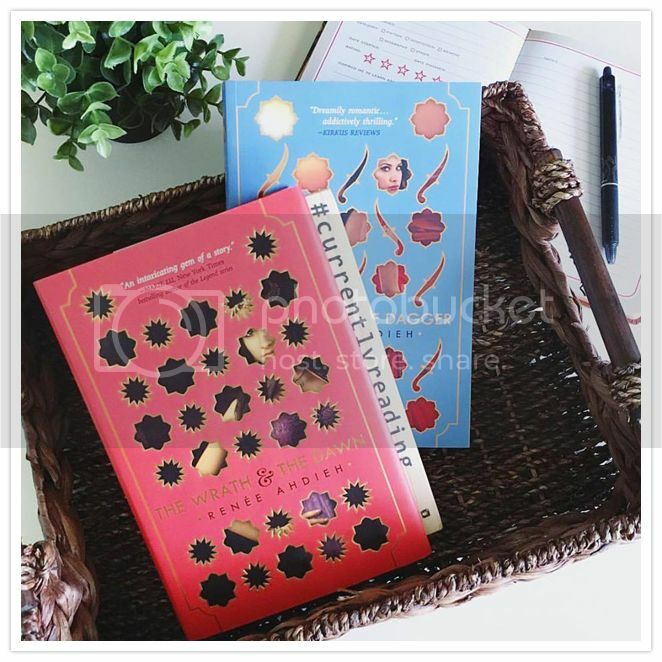 Definitely pick up this book if you're a fan of A Thousand and One Nights retellings, as I know you will enjoy the book as well. 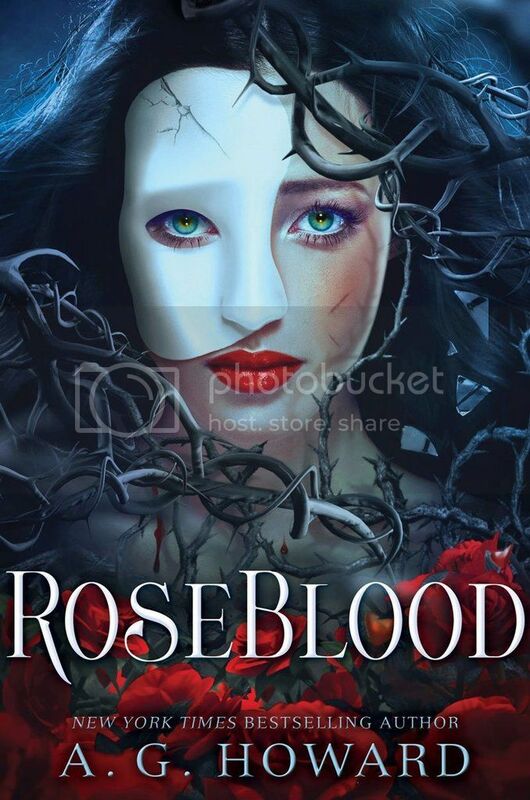 At RoseBlood, Rune secretly befriends the masked Thorn -- an elusive violinist who not only guides her musical transformation through dreams that seem more real than reality itself, but somehow knows who she is behind her own masks. As the two discover an otherworldly connection and a soul-deep romance blossoms, Thorn’s dark agenda comes to light and he’s forced to make a deadly choice: lead Rune to her destruction, or face the wrath of the phantom who has haunted the opera house for a century, and is the only father he’s ever known. Is this cover freaking gorgeous, or what?!?! and now she has a new book coming out!! Also, she has the BEST website that you should totally check out!! 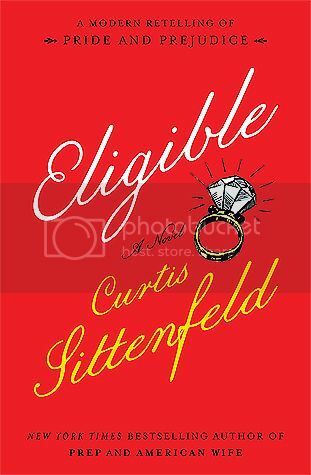 When I first heard of Eligible: A Modern Retelling of Pride and Prejudice by Curtis Sittenfeld, I was instantly curious. I love a good retelling, and Pride and Prejudice happens to be my favorite book by Jane Austen. Lizzie Bennet and Mr. Darcy... I can never get enough of their story, and I was curious to see Sittenfeld's modern take on the original. While I didn't love the book as much as I had hoped to as a retelling, it was an interesting read as a novel itself. All the characters that I know and love from Pride and Prejudice make an appearance in this retelling, some in different ways that the original, thank goodness. (Be honest, we ALL were wondering how Mr. Collins would work into this modern retelling!) Liz and Jane were both modern women of the world, living in New York and working as a magazine writer and yoga instructor. Mrs. Bennet, Kitty and Lydia were just as annoying as ever, while Mr. Bennet tells it like it is, and is always a favorite. Mary Bennet was mysterious and perplexing. Darcy and the Bingley's, of course, also had roles in the book, as well as many, many more from the original. One of my favorite things about the original book is Lizzie Bennet herself. She's such a great character, and I've always loved her. Unfortunately, in this book, I didn't so much. I could not find that connection with her that I always love. And with Darcy, I feel like I didn't even really get to know this modern version of him that well in the book, and what I did know if him, I didn't really care for. As for the relationship between Liz and Darcy, I didn't buy it for a moment. That spark, the tension, that I absolutely adore was noticeably missing, and I kept waiting for it to appear, but it never did, which was unfortunate. While Pride and Prejudice is one of my most favorite books ever, I wouldn't call myself a die-hard Austen fan or even an Austenite. I never go a retelling of one of her books, or any book for that matter, expecting a book to be even close to the original. (I mean, come on, this is Jane Austen.) I do wonder if I went into this book with my expectations a bit too high. I didn't love it, and I really wanted to. 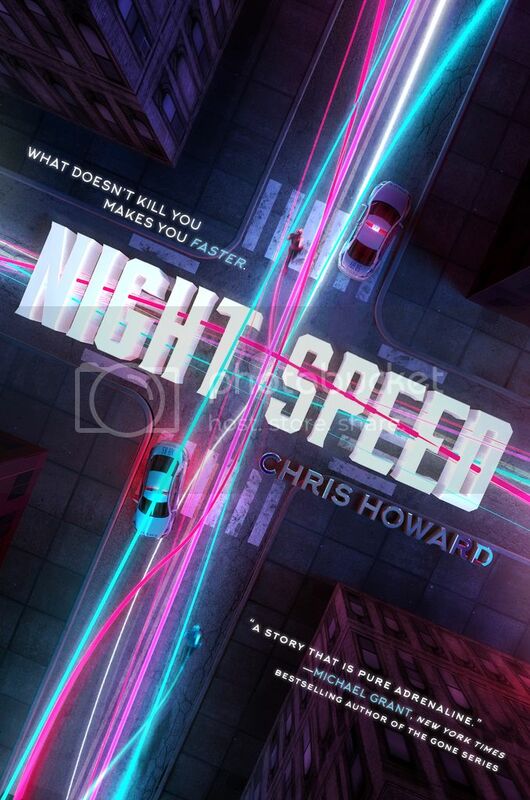 The storyline for the book was engaging, although a bit slow paced in some parts, which caused a bit of skimming for me. I did enjoy some of the modernized parts of the story, even while it seemed to be trying a bit too hard to be modern, as there was so much going on, I kept wondering how ALL of it could be happening with just the one family. I found the following quote from the book to be pretty accurate, "We're expanding your horizons," Kitty replied. "Welcome to the twenty-first century." I somehow did not know that this book was part of The Austen Project series, which is a group of six bestselling authors who are retelling Jane Austen's six original books. I wish I had known about this before now, as I would have totally checked out the other books in the series sooner. Overall; Eligible: A Modern Retelling of Pride and Prejudice just wasn't the right read for me, unfortunately, but I'm sure most others will love it! I'm definitely curious to check out the rest of the books in The Austen Project series, at least for the books I've read of Austen's already. I'd love to see more authors takes on these classics. 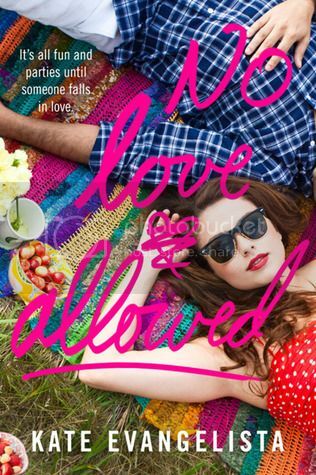 The first thing that drew me to No Love Allowed by Kate Evangelista was the gorgeous cover. I'll admit it, I can't resist a stunning cover! It looked so fun, and once I read the summary for the book, I knew I would have to add it to my to-be-read list. This book was fast and fun, and will make a great summer read! The characters in this book were a lot of fun, especially the two main characters, Didi and Caleb. Although I worried that I wouldn't like Caleb when I first met him in the book, he definitely grew on my as the story went along, and I'm glad that he had so many different sides to him. Didi was lively and outgoing, and was what sounded like a pretty great painter as well. Together, they made the story a really interesting read. No Love Allowed is the second book I've read this month that has had mental illness in the storyline, and a character with bipolar disorder. It was interesting to see another authors take on the illness, and the similarities as well. I'm so glad that these books are being written, so people will know they are not alone, that help is out there. While the story ends in a satisfying way, I was a little concerned about a few things that were left wide open. I was pleased, however, to discover that there will be another book in the series coming soon, one that will have the secondary characters from this novel as the stars of the story. I'm super curious to check it out! Overall; No Love Allowed was a quick and fun summer read, that also has a message about mental illness. I'll definitely check out the next book in this series, No Holding Back, when it's released in October! 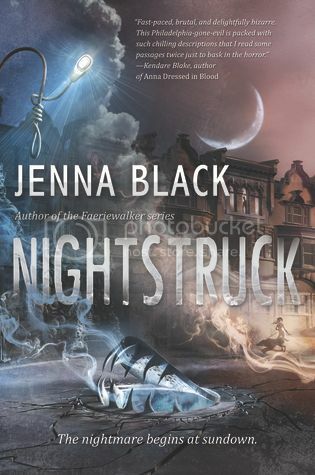 I was pretty excited to read Nightstruck, as I'd always wanted to read something by Jenna Black. I have a few of her previous books on my bookshelf, but haven't had a chance to get to them, so I jumped on the opportunity to read this new release from her. Becket was an interesting main character. The girl had been through a lot in the past year, with her parents divorcing and her mom moving away. Living with her super strict police commissioner dad has not been easy, and it gets even more difficult one night when Becket reports a cry she heard in the dark, that wasn't exactly what she thought it was to begin with. For all this girl had been through, she managed to keep her head throughout, even when most people would have given up. I definitely admire her for that. The storyline for the book was really interesting. The first few chapters of the book were a little slow placed, but once the story picked up, I was hooked. I can see now why this story was listed under horror, as some of the things that happened were pretty brutal. And, there were lots of creepy parts as well, some that made me a little paranoid. 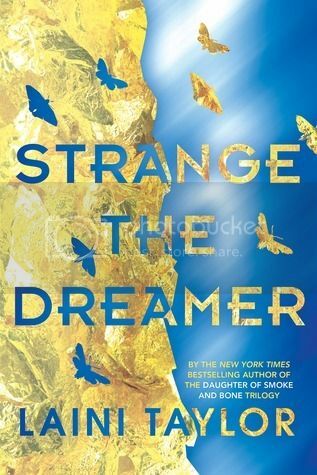 I don't usually read this type of book, mostly because I'm a big chicken, but I found myself getting more and more into it as the story went along, and I really enjoyed it! The book ends with a pretty massive cliffhanger, which kind of confused me because I went into this book thinking it was a standalone, not part of a series. So I'm curious to see if that is just how the book was supposed to end, or if is, in fact, part of a series. Overall; I thought Nightstruck was a really interesting read. I'm super curious to know if it's a series that will be continuing along, as after that ending, I'd love to know what's going to happen next! First, this book cover is pretty awesome!! 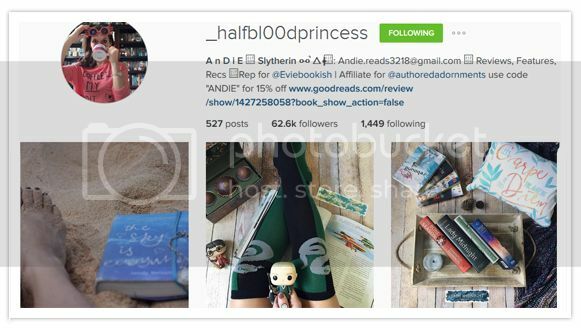 But I'm kind of dying to read her first book, Everything, Everything. and I can't wait to check them out!! I started reading The Mirror King just moments after finishing The Orphan Queen. I'm so glad that I had the chance to read these books back to back, as The Orphan Queen had a pretty big cliffhanger ending, and I was DYING to know what would happen next! Thank goodness I didn't have to wait to start reading The Mirror King, because I think the anticipation would have killed me. 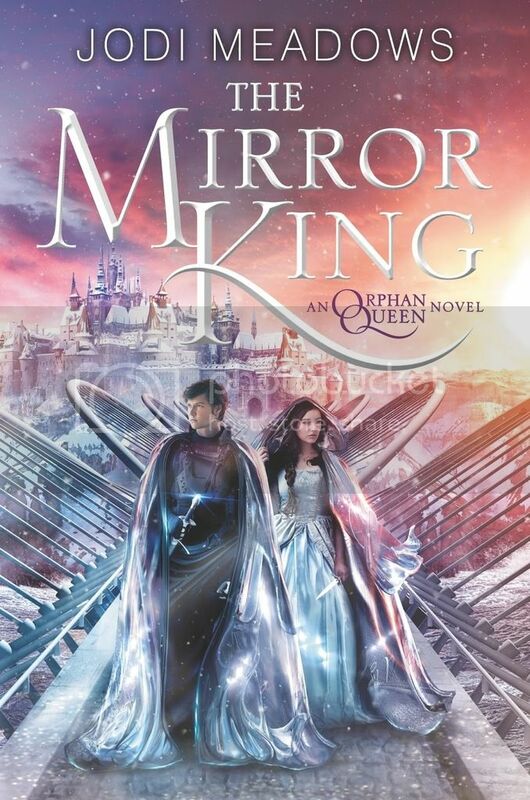 All of the characters from The Orphan Queen appear again in The Mirror King. Wilhelmina proves herself over and over again throughout the story to be just an awesome character all around. She goes above and beyond to do what is right for her people and her kingdom, sometimes facing dangers that she should not face, but doing so nonetheless. I said so in my review of The Orphan Queen, but her actions in The Mirror King just prove it; Wilhelmina will make a wonderful queen. 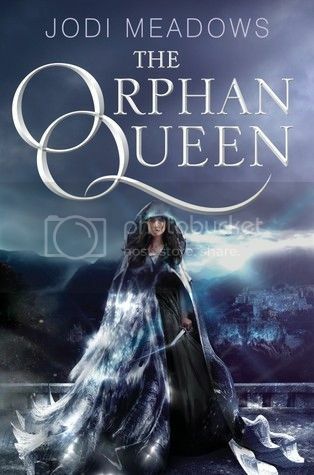 All of the secondary characters that I loved in The Orphan Queen are back in this book, and some new ones as well, some you will love, and some not so much. I particularly wanted more of the Wraith Boy, as I was so curious about him, and he wasn't in the story nearly as much as I wanted him to be. He was such a mystery!! I loved these characters. The storyline for the book followed the same as in The Orphan Queen, and I was in stitches waiting to see how this it was all going to come to an end. Even though there was a moment in the ending of the book that made me so sad, the ending wrapped up very nicely, and I was satisfied with the way everything came together. I closed the last page with a pretty huge smile on my face, and I love when an ending makes me that happy. Overall; The Mirror King was a wonderful conclusion to The Orphan Queen! I really enjoyed this duology, and now that I've finished it, I'm really looking forward to finishing Meadow's Newsoul series soon! 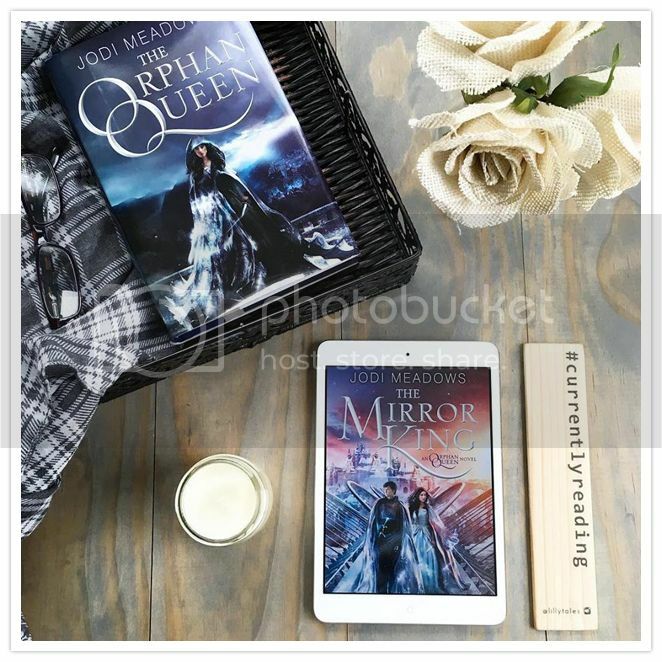 After having The Orphan Queen sitting on my shelf for an embarrassingly long amount of time, I finally decided to pick up the book, partially because I was curious, and partially because it was super close to the release date for The Mirror King, and I thought it would be pretty awesome to read the books together. I'm totally kicking myself for not having read The Orphan Queen sooner. I enjoyed it so much!! I really loved the main character in the story, Wilhelmina. I love that there were so many different sides of her character. Not only was she a lost princess who desperately wanted to get her kingdom back, she was also a theft who stole to survive, and a spy to get information, as well as a wielder of magic, which was completely illegal to use. She was such a well written person, and I love that she was willing to do whatever she needed to do for her friends and her kingdom. She'd definitely make an excellent queen. There are SO many secondary characters in the story that I enjoyed as well. Too many, really, to even list, so read the book to discover them for yourself! And, the romance in the book was perfection. Not too much, not too little; it was absolutely perfect. I really enjoyed the storyline for the book, especially the magical aspects. It really held my interest throughout. I'm also really fascinated lately with historical type settings, and that's exactly what you get in The Orphan Queen. 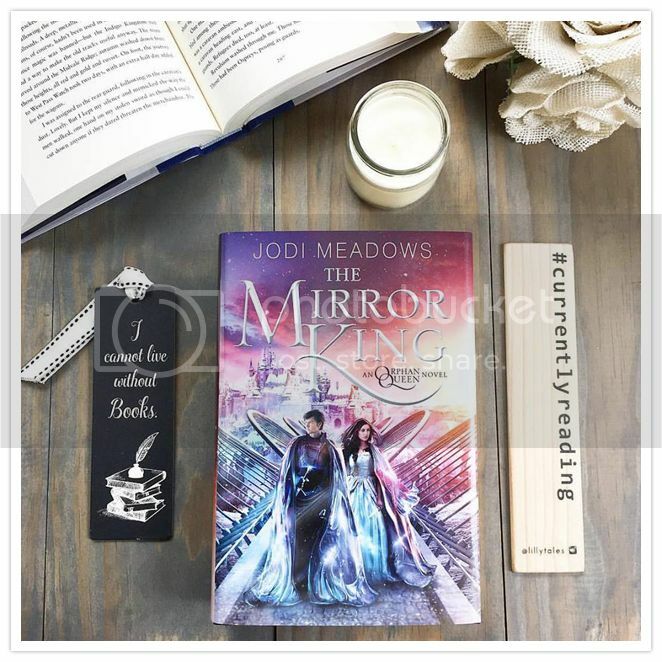 The book ends with a pretty massive cliffhanger, and I'm thrilled that I already have a copy of The Mirror King on hand, just waiting for me to start it. I must know what's going to happen next! Overall; I really enjoyed reading The Orphan Queen, so much more than I expected to, and I can't wait to start The Mirror King right away! I'm super curious to see what's going to happen next for these awesome characters and great story. Ummmm, does this sound INSANE, or what?? Seriously, a war between gods and men? A mythic hero?? A LIBRARIAN?? and really enjoyed the uniqueness of the story. I'm super excited to dive into this book!! Emery Lord has quickly become one of my most favorite authors to read. 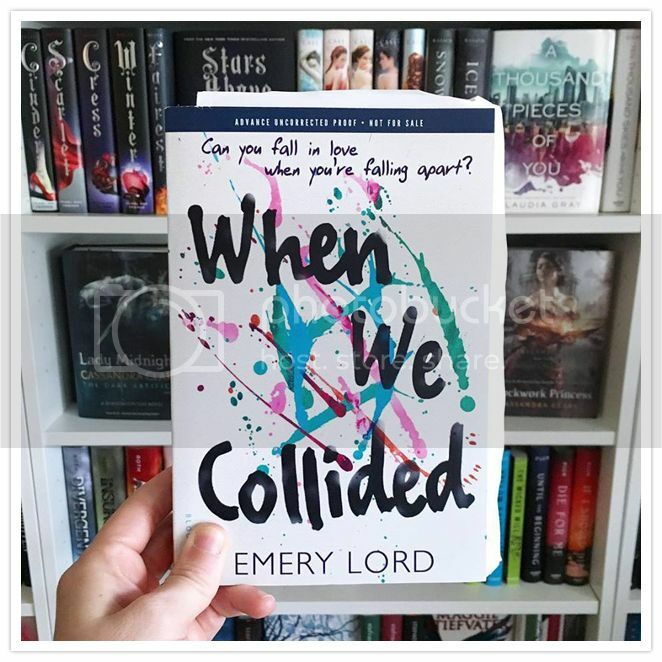 I loved her previous books, Open Road Summer and The Start of Me and You, and I absolutely couldn't wait to read When We Collided. I knew it would not disappoint, of course, and I loved it just as much as I expected to!! I loved the main character in the story, Vivi, the moment I first met her. I found myself relating to her in so many different ways. We see many different sides of Vivi throughout the novel, there are lots of ups and downs for her as the story goes along. I love that there are books in the world with stories like Vivi's, as I think this is a great way to get a message across to someone who may need to see it. The character who stole the story for me would have to be Jonah. This boy has an amazing heart, and I love how much he loved his family. He had more on his shoulders than any 17 year old should ever have to bear, but he did and he set aside everything for his family, and I found that so very admirable. His family was really great as well, I loved all of his brothers and sisters, especially little Leah. The storyline for the book is a lovely and sweet contemporary, but also carries a very strong message about mental illness. Again, I love that this message is there, and I hope that people will read this book, and relate, and know that there is so much help and hope out there for them. This story was super realistic, and beautifully written. I loved it. 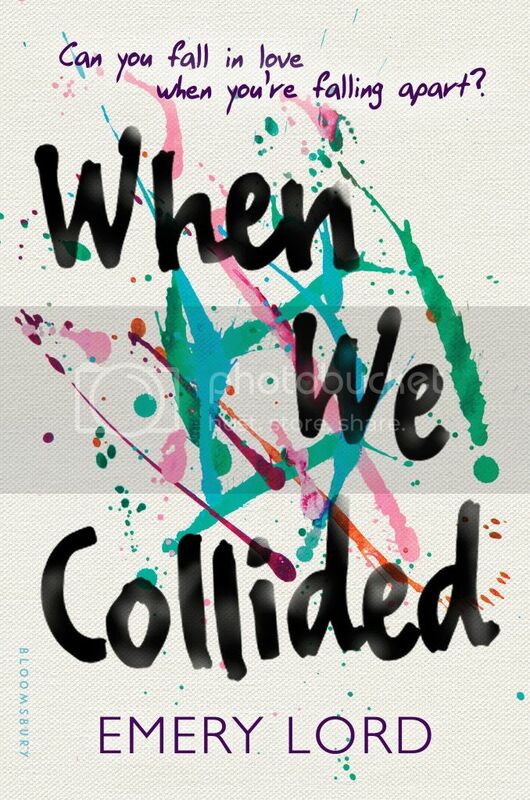 Overall; I enjoyed When We Collided just as much as I expected to. 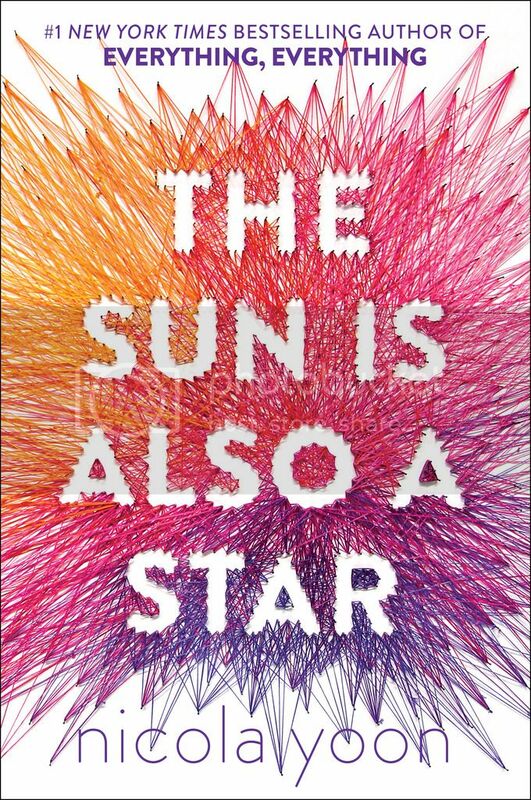 The storyline and the characters were so great, and I couldn't help but completely fall in love with everything about this book. Read it. I know you'll love it. on different forms of social media, that you should totally follow!! so today I'm sharing with you some of my faves from the ones I do try to use. always looking forward to seeing what she post next. some really awesome pictures!! You should totally check her out. and I LOVE HER FEED!! SO many great photos. should check her out there as well!! 5. 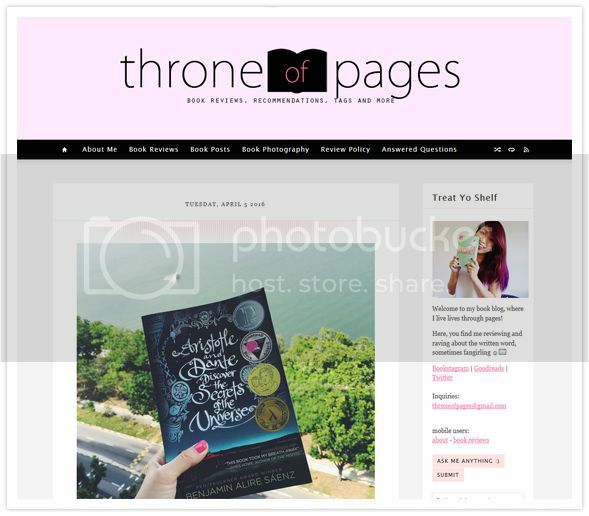 Chloe at Throne Of Pages is another that I just recently discovered on Tumblr. I first discovered her on Instagram, and am following her in both places now. Such a lovely feed! Check it out!! 6. 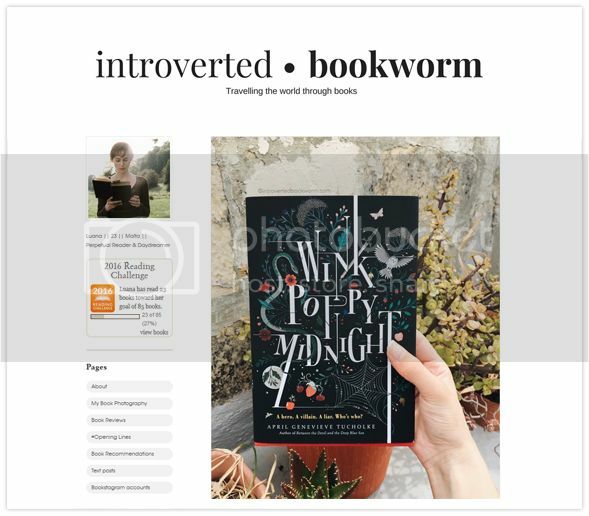 Another lovely feed to follow is Luana at Introverted Bookworm!! I knew she was someone that I'd have to follow. I am angry at work for dragging me away from my book! I wish I could have stayed at home with my book, some tea, and a cozy blanket. 7. 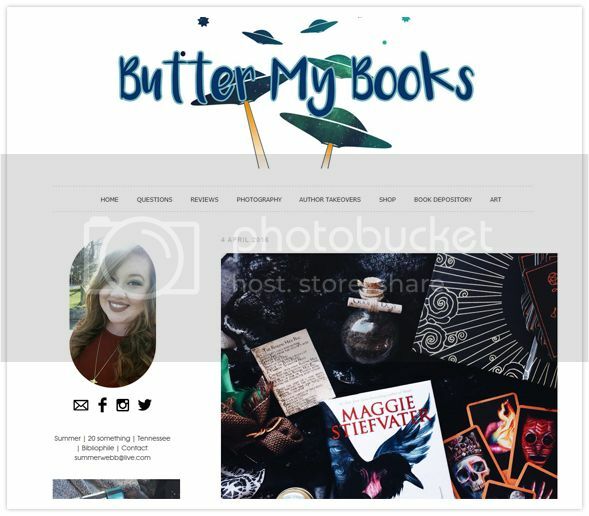 If you're not already doing so, you should totally follow Sarah at TheBookTraveler!! She has the best tweets, and I love following her!! 8. 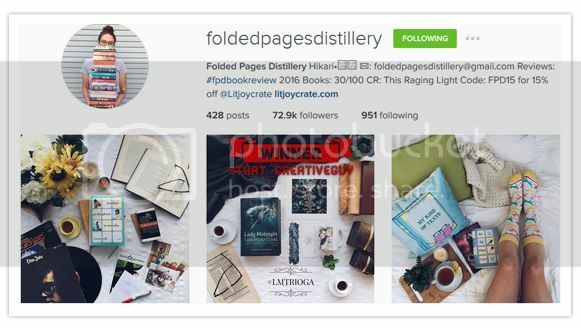 I totally love following RosettaBooks!! Their posts... they just totally get me!! 9. 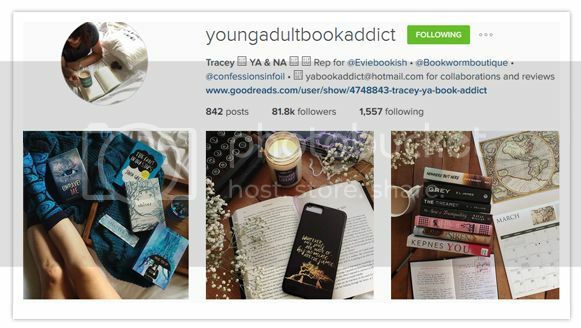 Another great bookish account to follow is The Reading Room!! Just like RosettaBooks, The Reading Room totally gets me. I love how relatable their tweets are!! if you're not already following Victoria Schwab, you totally should. And don't forget to follow me as well!! I've been a fan of Richelle Mead's writing for a really long time. She's one of the first authors I picked up when I first started reading the young adult genre, and I am always excited to read something new by her. 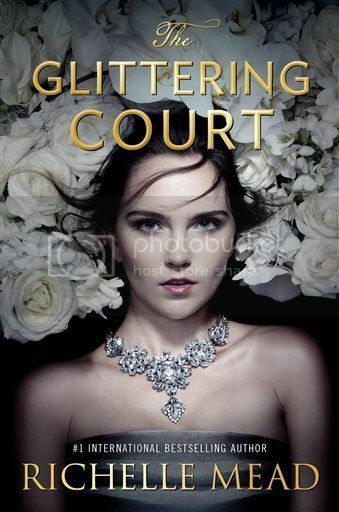 I especially knew I'd have to read The Glittering Court as soon as possible, because it sounded super exciting and creative. And it totally was! Adelaide was an interesting main character. She wasn't happy with her current situation, and when the opportunity arose to change it, she took the chance even when she had no idea what she was getting herself into. I enjoyed reading about her time with The Glittering Court, as it was not only fascinating to see what she had to go through, but I also loved watching the friendship grow between Adelaide and her two new friends, Mira and Tamsin. These two girls were really great secondary characters, and I'm hoping to learn more about their stories as the series continues. 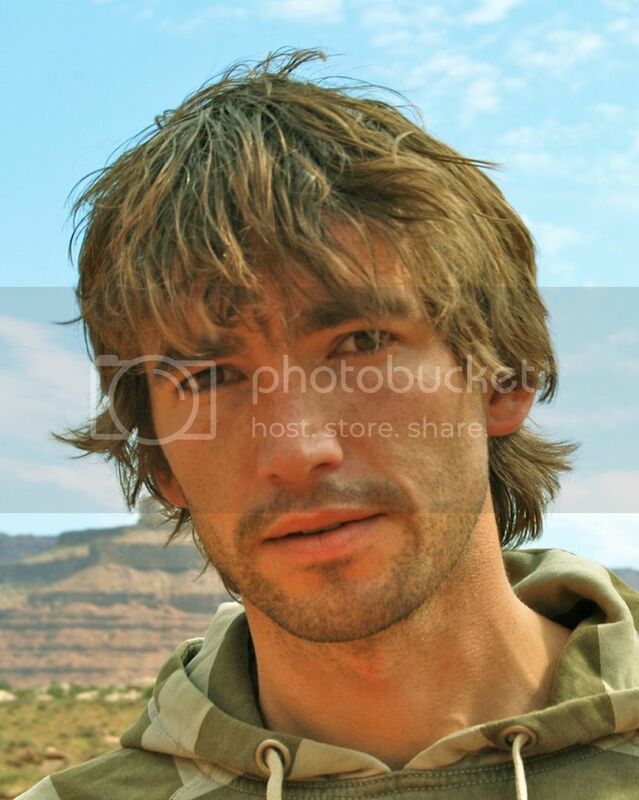 Also, there is Cedric Thorn, who was charming and completely adorable, and totally swoon-worthy. 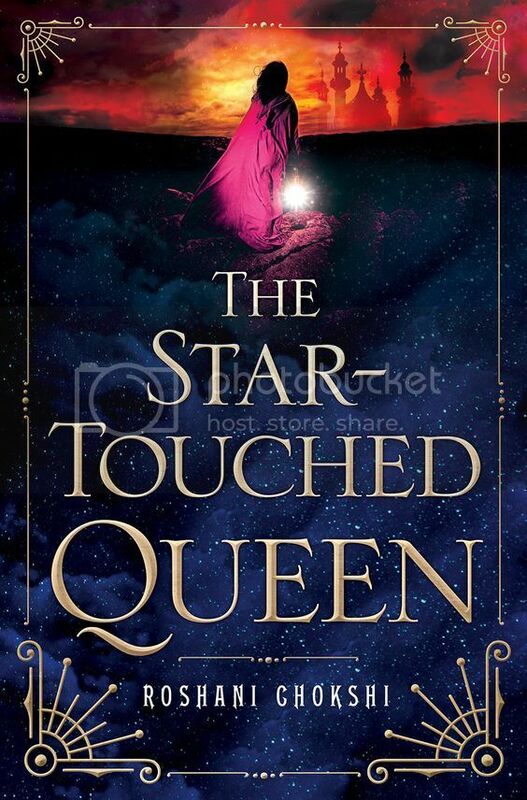 The storyline for the book was really creative, described as The Selection meets Reign, both of which I've read/watched, and enjoyed, so I was instantly interested. Reading the book kind of felt like reading two different books, as the first half was completely different than the second half of the book. But it was all still very interesting, and I flew through the second half of the book much faster than the first half. The book closed in a way that left me both satisfied, but curious enough to keep reading if there are more books in the future. I'm assuming that there will be, and I'm super curious to know what will happen next for these three great friends. 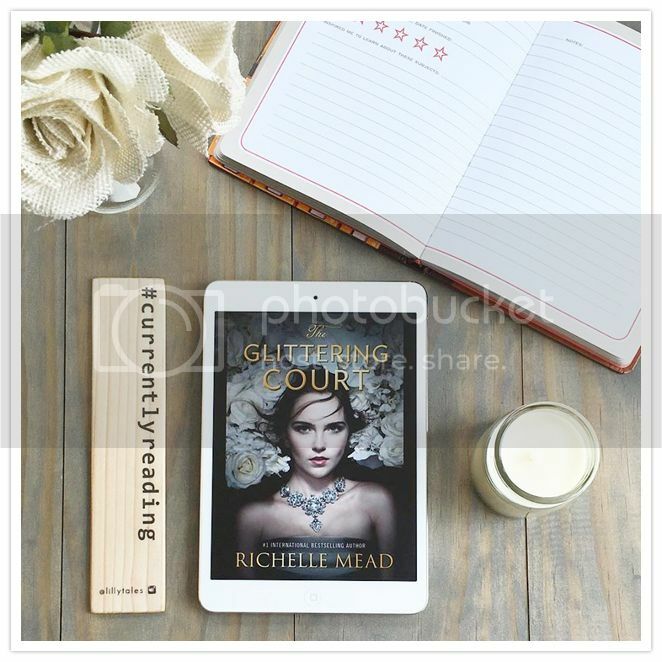 Overall; I really enjoyed reading The Glittering Court. The characters and storyline were both very interesting, and the book cover is just stunning. I can't wait to add this book to my collection, and to continue the series as it goes along! !